Providing you the best range of stone grill, sandstone jali, sandstone railing, red stone jali, decorative stone jali and pink sandstone jali with effective & timely delivery. Since our inception, we are involved in catering the varied requirements of our clients by providing Stone Grill. The given stone grill is crafted from the top grade stone & contemporary tools as per the set trends of market. Offered stone grill can be used as partition replacing the steel grills that looks artificial. This stone grill is checked in terms of quality for ensuring its flawlessness. 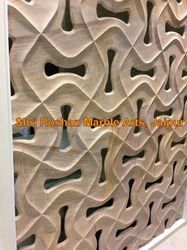 To meet the diversified requirements of our prestigious clients, we are engaged in offering qualitative array of Sandstone Jali. The given sandstone jali is intricately crafted by our innovative craftsmen by making use of best quality stone & it’s shaping tools in compliance with the market trends. 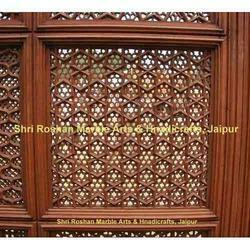 Offered sandstone jali can be customized as per the specific needs of customers in a given time frame. 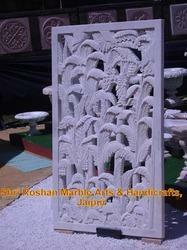 Customers can easily avail this sandstone jali from us at affordable rates. We have marked a distinct and rich position in the market by providing Sandstone Railing. Our sandstone railing is praised in the market due to its best finishing & attractive designs. This sandstone railing is crafted by utilizing utmost quality stone by our experienced craftsmen. Offered sandstone railing is comes in different designs, sizes and other customized options so as to meet the demand of customers. Packaging Details: Wooden packing with complete foam inside. We are the most prominent manufacturer, exporter, wholesaler, trader, retailer and supplier of Red Stone Jali. This stone jali can be used as a window and as a decor. Our stone jali is provided in numerous customized designs options as per the choice of customers. Also, this stone jali is made by using best quality stone & advance shaping & cutting tools in accordance with the market trends. 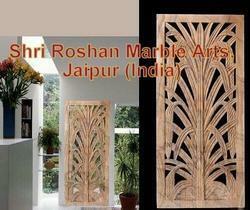 Our team is a well known name in the manufacturing of some unique Decorative Stone Jali both in marble or sandstone. We have some modern and complicated designs available in Jali's which will suit to everyones need. Beautiful floral design on this Decorative Stone Jali gives it a beautiful & unique look. We have already exported various jali designs and has always been applauded for our carving and creativity. 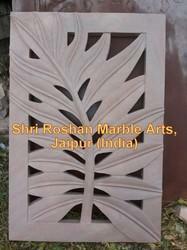 This Pink Sandstone Jali is very simple in design yet looks very beautiful. 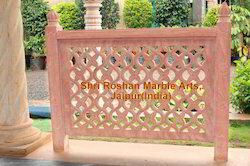 These Pink Sandstone Jali's are widely used in houses, resorts, temples etc. 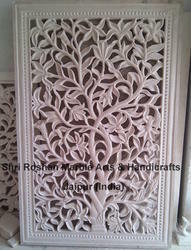 This Sandstone jali is made in 2 steps and hence is always in demand. Modern Stone Grill is made by our experienced & skilled team of designers & labour. We are one of the well known manufacturers & exporters of all type of stone & marble interior & exterior products amoung which this Modern Stone Grill is the prominent. Exterior Stone Lattice are always in huge demands by our customers worldwide. These Exterior Stone Lattice is made of a single piece of Red SandStone. Our expert labour had carved this masterpiece from hands and has given it beautiful carving. Equip your Backyard Garden or lobby with this Garden Stone Jali or Mesh and add a lavishing touch to it. Beautiful floral design and modern, designed by our experts and carved from a single piece of Pink Sandstone. We are one of the leading and prominent manufacturers and exporters of various designs of Stone Boundary Fencing both in marble or sandstone. These Stone Boundary Fencing are used in temples, resorts, hotels, residential project, houses to give it a beautiful look. 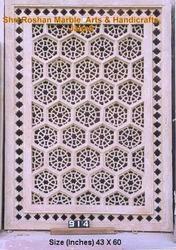 Looking for Sandstone Jali ?